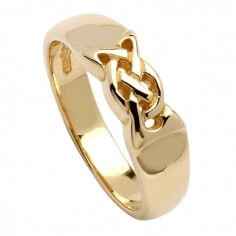 In Ireland, certain symbols have stood the test of time, and this design is no passing trend. 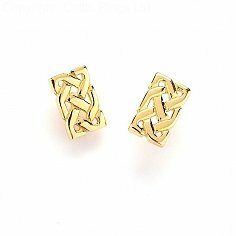 Beginning around 450 A.D., knots became a central part of Celtic art and culture. 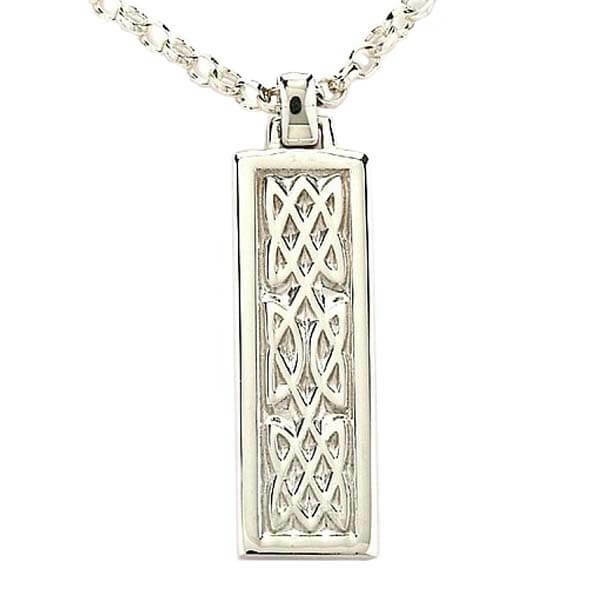 A sleek twist on the Celtic knot, this necklace is sure to endure as a symbol of your love for Ireland. Etched with a lustrous multi-helix arrangement, the pendant is hemmed by a brilliant beveled border. 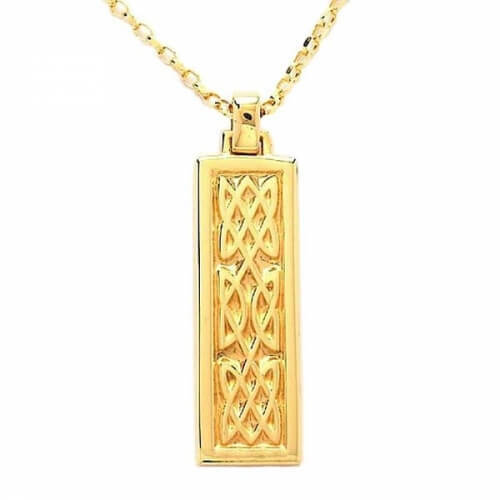 A perfect gift for a loved one or friend, this piece is available in silver, 10k or 14k yellow gold, and 14k white gold.